Vrhunski skimmer za akvarije prostornine do 500 litrov. Protein skimmers play an important role when maintaining a healthy saltwater aquarium. It has two main jobs one to get rid of uneaten fish food, excrement and toxic substances that might harm the sensitive ecosystem of a saltwater aquarium, and the other to add oxygen to the tank. Aquaforest recommends the Probiotic Aquaforest method with the protein skimmer to create your dream reef. The AF150 Skimmer works best with a tank of 200 to 500 litres. 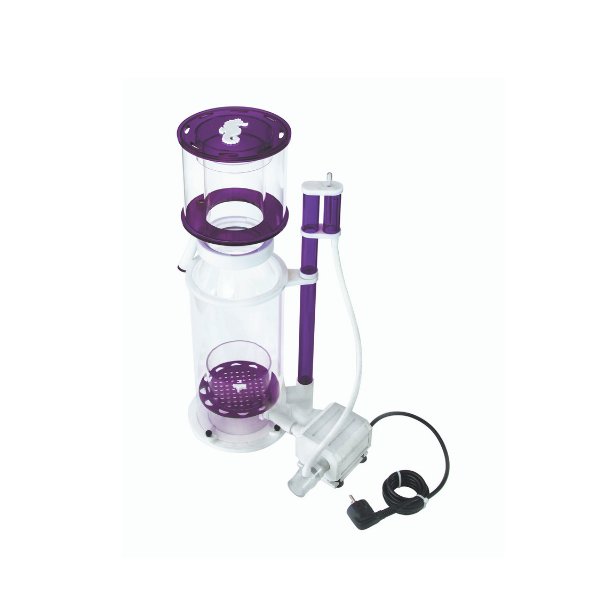 The unbeatable and well-built AquaBee AC UP 2000/1/A is specially dedicated for the AF150 Skimmer and due to its ceramic elements, the AquaBee 2000/1/A is durable, quiet and has a long life expectancy. Skimmer za akvarije do 3000 litrov. XL peleti iz čistega bio-polimera za učinkovito odstranjevanje nitrata in fosfata. Komplet dodatkov s pomembnimi elementi k osnovni Balling metodi. Posebej prilagojen akvarij vrhunske kakovost za morsko akvaristiko.